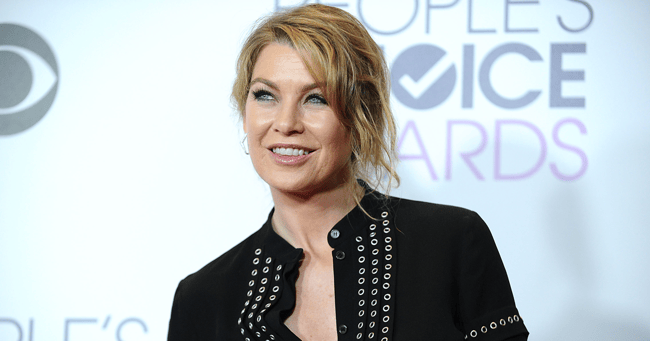 Ellen Pompeo reveals the one reason she'll never leave Grey’s Anatomy. This fall, Grey’s Anatomy will begin it’s 13th season. Of the original cast of series regulars, only four remain on the show. Ellen Pompeo has stayed around the entire time. But why? Katherine Heigl, Sandra Oh, Patrick Dempsey and many others have left. Why has Pompeo stayed? The answer? Aging. Compared to many actresses, Pomepo got what she calls a “super late start” in the industry. She didn’t land her first role until she was in her mid-20s. That being said, she admits that if she had booked the role of Meredith Grey at an earlier age, things both for her and the series would probably have gone differently. “I probably would have done my time, then gone out to search for other things,” she explained. Pompeo says it was contract negotiations that pushed her decision to stay on the show so long. 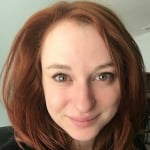 With every renegotiation she became more and more “aware of how challenging it would be to find other roles in my late 30s and early 40s.” So she stayed. But don’t think woe is her, she is now one of the highest paid actresses on TV. Though she does admit it&apos;s getting harder to watch herself. “Watching myself age on TV is miserable. To be honest, it’s the toughest part of my job,” she explains, calling older episodes, "intense." Pompeo now wants to bring that sense of fearlessness and humor around aging to other women. She has teamed up with beauty brand Philosophy in a new tongue-in-cheek beauty campaign. "Welcome to middle age," the ad&apos;s voiceover says. "From here on it’s a steady decline into old age and cultural insignificance." Pompeo then acts out some of the expectations society places on older women. We see her winding down her career, exercising less, wearing more modest clothing and of course, letting herself whither away. We don&apos;t see that happening to Pompeo anytime soon.